I have been enjoying this blog so much, I’m possibly in trouble! Thank you for all the info, ideas and even sharing what (down to the last word) worked for you, etc. Finally, do you own a safelist or traffic exchange too? If not, Richard, why not?? I really like your site. I’m 58 years old, and retired, due to a back injury, and I’ve been involved in Internet and Affiliate Marketing in some way shape or form, but for the life of me, I couldn’t seem to make a steady passive income. 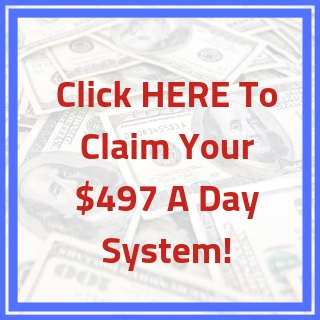 I have made some money in the past with Clickbank, but I had a hard time making it a steady income. The reason, I stopped by and checked out your blog/site, is that I am also into, Safelists and Traffic Exchanges, and trying to make an income with them. I learned a lot from your site, some of which I already knew, (setting up Safelists and Traffic Exchanges) But, your insight and determination is what I appreciate. Since I am retired, I am on a fixed budget, but would like to learn more, after all (knowledge is Power) I did notice in “How To Get Started With Free Safelist And Learn How They Work” video about a program that you are promoting, something about “Eight Steps” and I’d like to learn more about it and perhaps promote it myself. I’d appreciate more information on that program, and any other helpful information you could send to a struggling marketer, such as myself…. Hello Ronald, I thank you for your feedback and appreciate it very much. The biggest way in which people go wrong, and where I went wrong in the beginning, was I did not build my email list with my traffic. Email marketing is a must online, in order to build real success, and a stable income. I would love to chat with you. Connect with me, and add me as a friend on facebook. https://www.facebook.com/RichardWeberg and then send me a pm, so we can chat further.